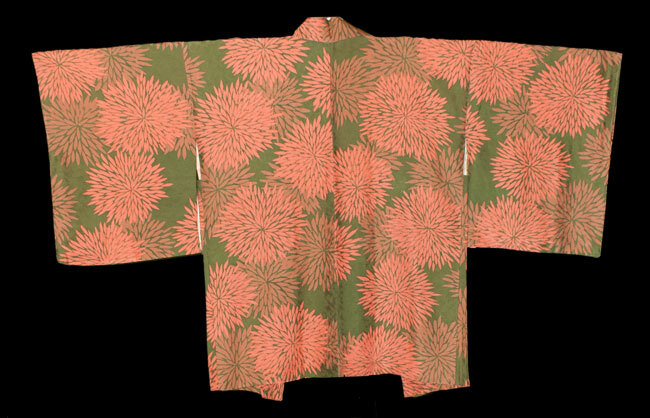 Kimoyes item: 21455 - This stunning olive green silk haori features masses of apricot coloured chrysanthemums. 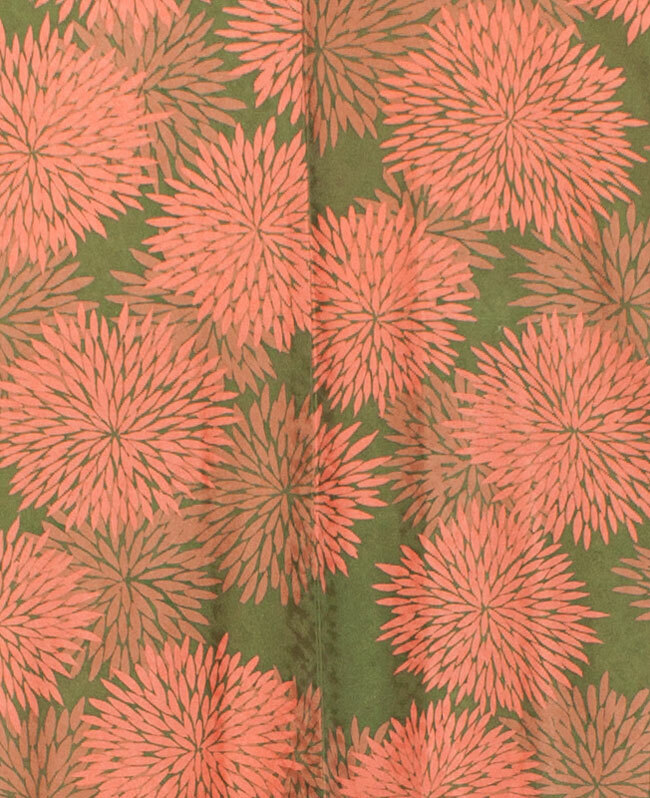 This stunning olive green silk haori features masses of apricot coloured chrysanthemums. 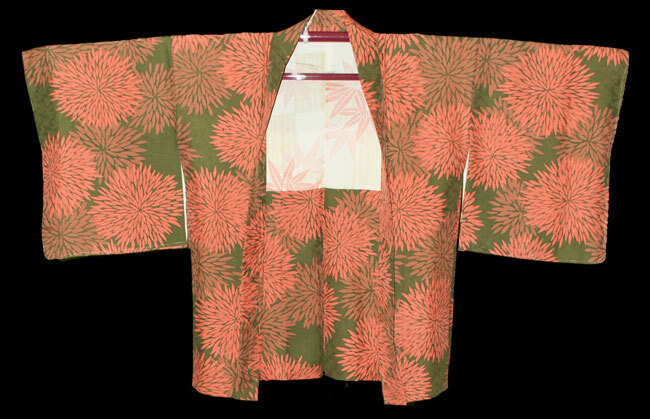 This haori has a gentle sheen and a pretty silk lining. It is 43 inches in length and 50 inches from sleeve edge to sleeve edge. 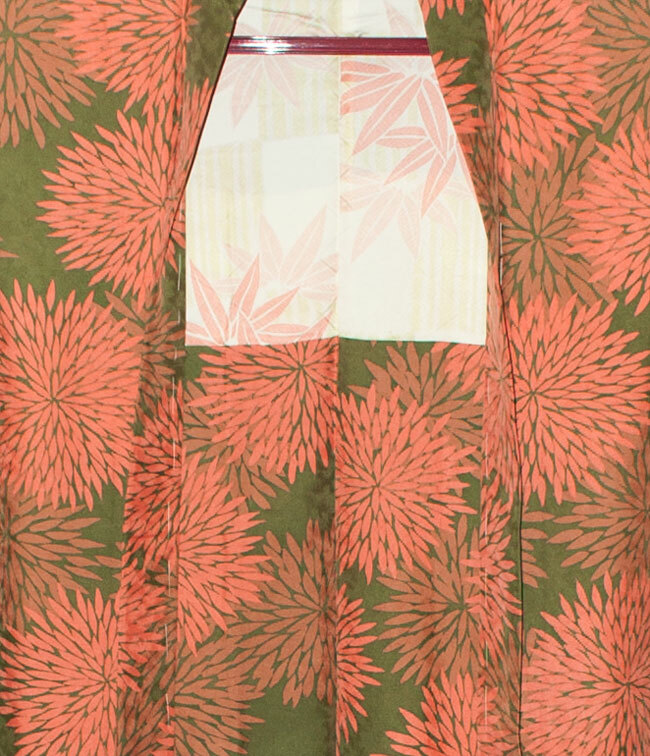 This is a very elegant and wearable garment.